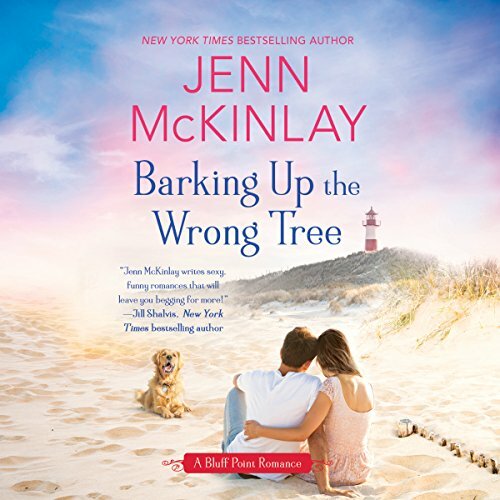 In the second Bluff Point romance, Carly DeCusati returns home with her tail between her legs, but she's determined to get her life back on track - which means finding homes for the elderly golden retriever and the overly talkative parrot she inherited before her old life fell apart. But then physical therapist and hot one-night stand James Sinclair enters her life. He doesn't care that Carly isn't interested in a relationship. He's determined to win her heart, promising to help her with the pets if she'll just give him the time of day. Our friend Carly, has to move back home to Bluff Point to stay with her folks, after losing her job and apartment. On moving day, the attorney of her elderly neighbor arrives and tells her the the old lady left her most prized possessions to Carly...her menagerie of pets! Carly is able to find homes for the reptiles but is left with an aging dog, Saul, and a dirty talking parrot, Ike. Shortly after arriving back in town, Carly and friends go to the bar where she runs into physical therapist, James. They have a one-nighter and that should be it, right? Unfortunately, Carly oversleeps and has her first ever ‘morning after’ and freaks. James, however, wants more and decides not to give up. I loved the first boom in the series, but loved this one more! Carly had so many insecurities...body issues, not feeling good enough, etc. it was painful to witness her struggles but also encouraging when she finally pushed through those years of pent up feelings. The secret from her past was gut wrenching and I’m glad that James took care of it. Great HEA. Can’t wait for the next book.